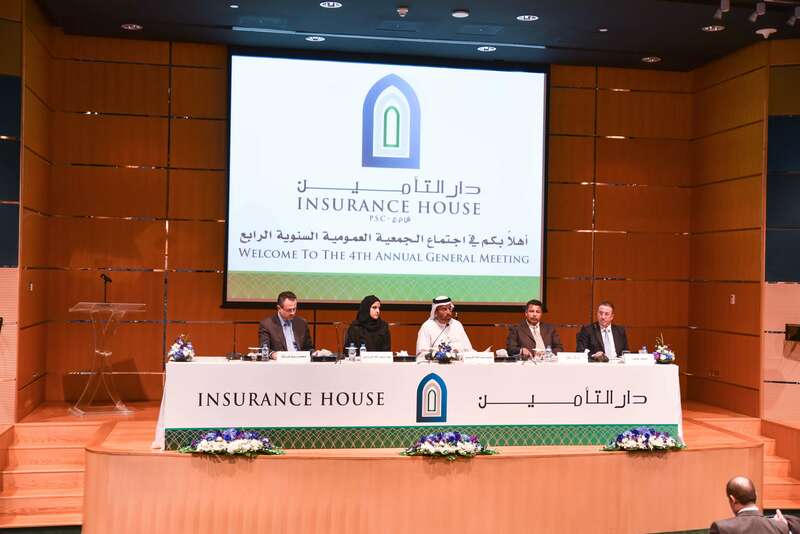 Insurance House PSC (IH) registered a Total Comprehensive Income of AED 2.05 million during the first quarter ending 31 March 2016, compared to a Comprehensive Loss of AED 3.61 million registered in the corresponding period of the previous year. This is a remarkable turnaround in the overall operating results of the Company, under challenging local, regional & global market conditions. Gross Premiums Written (GPW) during the three months ended 31 March 2016 totaled AED 46.46 million, which is 33% higher compared to AED 34.91 million underwritten during the first three months of the previous year. Net Earned Premiums during the first three months of 2016 soared by 41.3% to reach AED 32.23 million, compared to AED 22.81 million during the same period in the previous year. Net Underwriting Income for the three months ended 31 March 2016 more than doubled to AED 4.03 million compared to AED 1.88 million during the same period last year. This outstanding improvement in Underwriting Performance is primarily the result of a series of carefully planned changes effected in the Motor Insurance business and other products lines in 2015 & 2016. As a combined result of these targeted initiatives, the ratio of Net Claims Incurred as a percentage of Net Premiums Earned, significantly improved from 84.8% in Q1 2015 to 79.9% in Q1 2016. Commenting on the Q1 financial results, Mohammed Abdulla Alqubaisi, Chairman of Insurance House said:”Despite the unprecedented intense competition within Insurance Sector, IH’s business portfolio grew significantly in terms of volume and performance, due to the necessary corrective measures that we have initiated to rejig our product-mix, weed-out unprofitable businesses and/or re-price them in line with known risk characteristics”. “Concurrently, IH has improved its claims management procedures to ensure that loss ratios fall in line with or lower than our estimates for such product lines. This has had the desired, positive impact on the Company’s business portfolio in Q1 2016. The challenge ahead is to maintain sustained top line growth as well as steady improvement in Net Underwriting Results. We are ready for this challenge,” added Alqubaisi. Income from investing activities during the first three months of 2016 grew by a robust 30.55% to reach AED 3.53 million compared to AED 2.70 million logged during the same period of the previous year. In Q1 2016, general & administrative expenses were on a tight leash. As a result, overall expenditure (including general & administrative expenses and other operating expenses) was held nearly flat in comparison to the same period last year, despite a 33% growth in top line in Q1 2016 compared to Q1 2015. According to Mohammed Othman, Chief Executive Officer of Insurance House: “Since inception, we have constantly challenged ourselves by setting ambitious growth targets and have consistently achieved them despite competitive market conditions. We are thankful to our loyal customers and employees, without whose support, these remarkable achievements would not have been possible”. “Despite tough market conditions, we remain optimistic of our profitable growth potential in the near future. Our strategy is to compete on the basis of innovative product offerings and superior service quality. Going forward, profits from core insurance activities will be driven by continuous fine tuning of our risk underwriting policies & capabilities and through enhanced claims management processes,” concluded Othman.